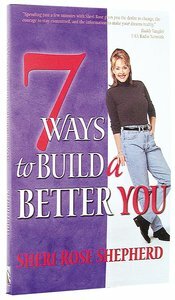 About "7 Ways to Build a Better You"
Seven Ways to Build a Better You, based on Sheri Rose Shepherd's popular video series, is for people who are ready to break out of the mindset of mediocrity and enter into a spirit of excellence -- emotionally, physically, relationally, and spiritually. Seven chapters, with seven life lessons in each chapter, provide tools to build a foundation for life that's grounded in God's master plan. Sheri Rose mixes in humor and heartwarming stories to motivate the reader to excellence in every area of life.